PRAYER PROMPT ••• I realized over the weekend – My Grace-Full Life will be one year old next Monday! Not sure what we’ll do, but I’ll come up with something fun, so stay tuned on November 13th. In the meantime, as this milestone approaches, I’m amazed at God’s plan, His presence, and His goodness. My grandmother taught me to read when I was three-years-old and it set the foundation for a lifelong love with words. I’ve wanted to be a writer my whole life. When I was in my early 20s, I started a novel. I think it’s in a box in the basement and if I found it, I’m sure I’d be mortified. Sappy and cheesy are the words I most remember about what little I wrote. I was a divorced, single mother who was completely overwhelmed with everything. In 2008, I quit my full-time job with the idea that I’d freelance and in my “spare time” (an idea that is laughable now! ), I’d write the next great American novel. A year later, I was broke, even more overwhelmed, and feeling totally lost. I was still on a prodigal journey so I wasn’t praying. I had no communication system with God, but that doesn’t mean He wasn’t trying to speak to me. It was such an Ah-Ha moment for me. I did shift directions, but it took me a couple more years before I did a true 180. I’ve been a regular writer for my community magazines for almost ten years so I did become a writer. But it didn’t take the shape I expected. I expected to write novels, not articles. Ten years ago, the idea of me writing a faith-based anything would have been a joke. Even three years ago, though I had returned to my faith, it would have been a stretch. He has given me direction and purpose through My Grace-Full Life. And I’m not remotely qualified for the assignment! But that doesn’t matter to Him. It’s not about me, it’s about Him working through me! I get what Paul wrote about 2 Corinthians 12:9-10… through our weakness, the power of Christ can shine. I didn’t need a new dream, but God used my dream to give me a different direction. I didn’t realize then that the billboard meant something entirely different than the way I originally translated it. I’ve spent years attributing it to one thing, but now – I get it. He was speaking to me then, even when I was holding Him at arms-length. God planned to use it. But I needed to surrender to His direction in order to be fulfilled. 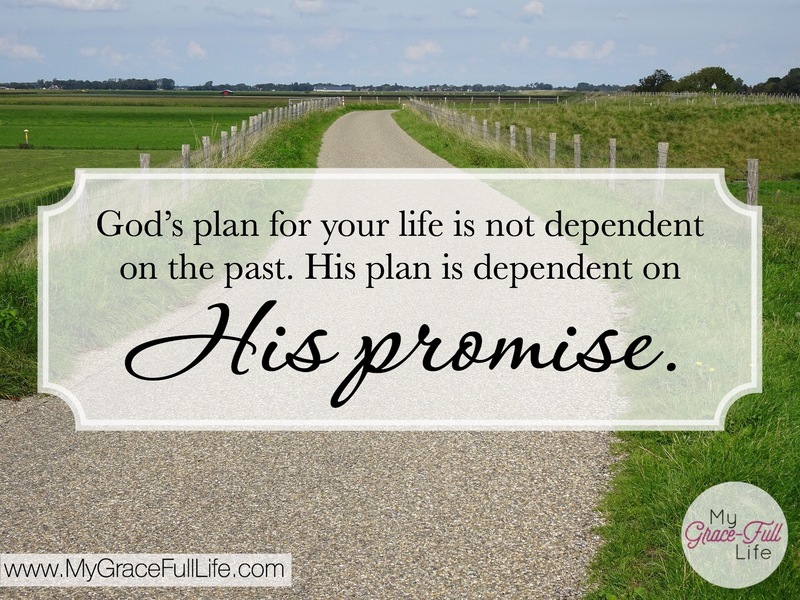 The plans God has for our lives are so much better than our own. I fought Him for so long, but He still had (has) a good plan for me. This is one of those verses that I wonder… did God have me in mind when He ordained it? Today, as you pray, I encourage you to reflect on your last few years. Can you see the hand of God leading and guiding you? Or are you putting up the same kind of fight I did? Thank God for knowing our futures and creating plans for us. Thank Him that though we may be stubborn, though we may even walk away from Him, He doesn’t walk away from His children. He will gently pull us back, and His will WILL prevail. Inspiring, enjoyable, and encouraging read!! What a beautiful testimony of God’s leading in your life!! I’m so encouraged. Thank you!